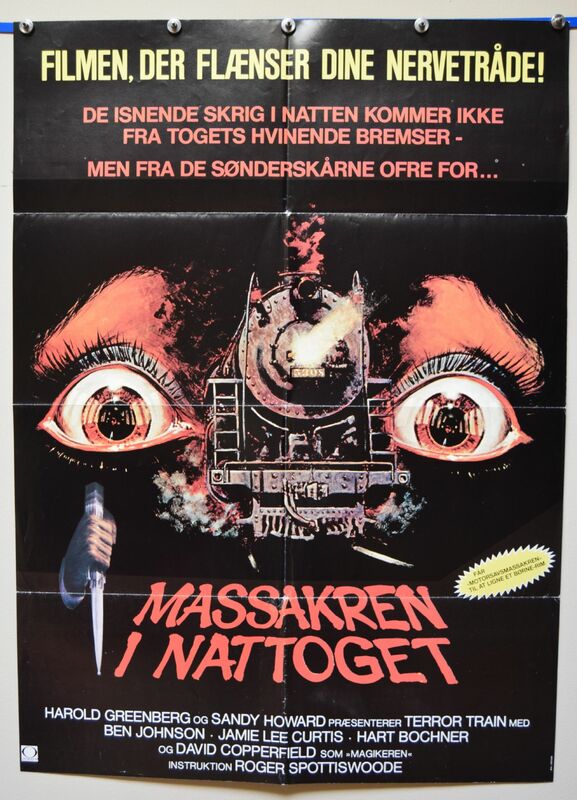 Terror Train (Astral Bellevue Pathe, 1980) Size 33" x 24"
Very scarce Danish Film Poster for the horror Terror Train starring Jamie Lee Curtis and Ben Johnson. 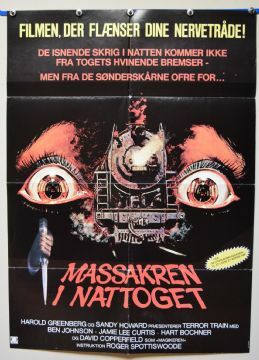 The poster has some fold wear. Displays very well. Very Good +++.